The promotional campaign for the Special Economic Zone in Duqm (SEZD) in Houston, USA, from 10 to 13 October, called on international companies to invest in the oil and gas sector in Duqm. In his speech at an investment symposium held in Houston, H.E. Yahya bin Said Al-Jabri, Chair of the Special Economic Zone Authority in Duqm (SEZAD), confirmed SEZAD efforts to diversify its investments and attract international companies operating in the oil and gas sector. He pointed out that there are common aspects between the Sultanate and Houston as the former is a producer and exporter of oil, while the latter is one of the major centers of global oil and gas industry. Al-Jabri also expressed his aspiration to establish partnerships and joint ventures between the business communities in the Sultanate and Houston. The symposium was attended by representatives of more than 70 companies, most of which invest in the oil and gas sector in the United States of America. The promotional campaign aims at informing the international companies operating in the oil and gas sector in America about the possibilities available in SEZD, which includes a variety of investment zones, such as the zone of heavy industries and petrochemicals, which has Duqm Refinery and Petrochemical Industries Complex implemented by the Duqm Refinery Company. SEZAD is working to promote SEZD in order to attract more international companies to invest therein. In his speech, H.E. 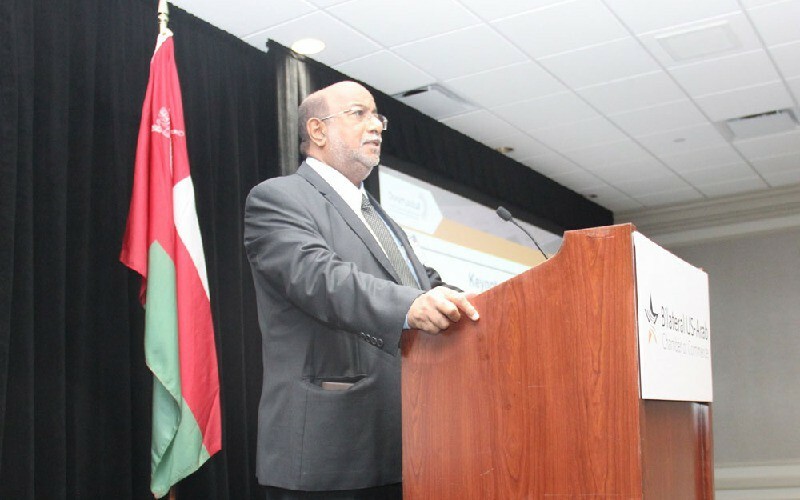 Yahya bin Said Al-Jabri praised the economic relations between the Sultanate and the United States of America. He said that the United States established trade relations with Oman since the early years of the independence of the United States and signed the Treaty of Friendship and Trade in Muscat in 1833. In the era of modern renaissance of the Sultanate, the two countries signed the Free Trade Agreement in January 2006. Al-Jabri also highlighted the efforts of the Sultanate in economic diversification. He indicated that the Sultanate has taken many steps to diversify its economy through successive five-year plans and has implemented infrastructure projects that consolidate its economy, such as roads, ports, airports, and power and water plants, praising the strategic location of the Sultanate. He also reviewed the government's efforts in the fields of education, training, qualification of national workforce, and providing job opportunities to Omanis. He touched upon the initiatives of the government to encourage the private sector to participate in economic development through the establishment of logistics and industrial centers, such as SEZD, the free zones in Salalah, Sohar, and Al-Mazyouna, and industrial estates distributed in various governorates of the Sultanate. The symposium included a number of presentations on the investment environment in the Sultanate, especially in SEZD, infrastructure projects in Duqm, investment projects implemented by the private sector in SEZD, and the incentives offered by SEZAD for investors.